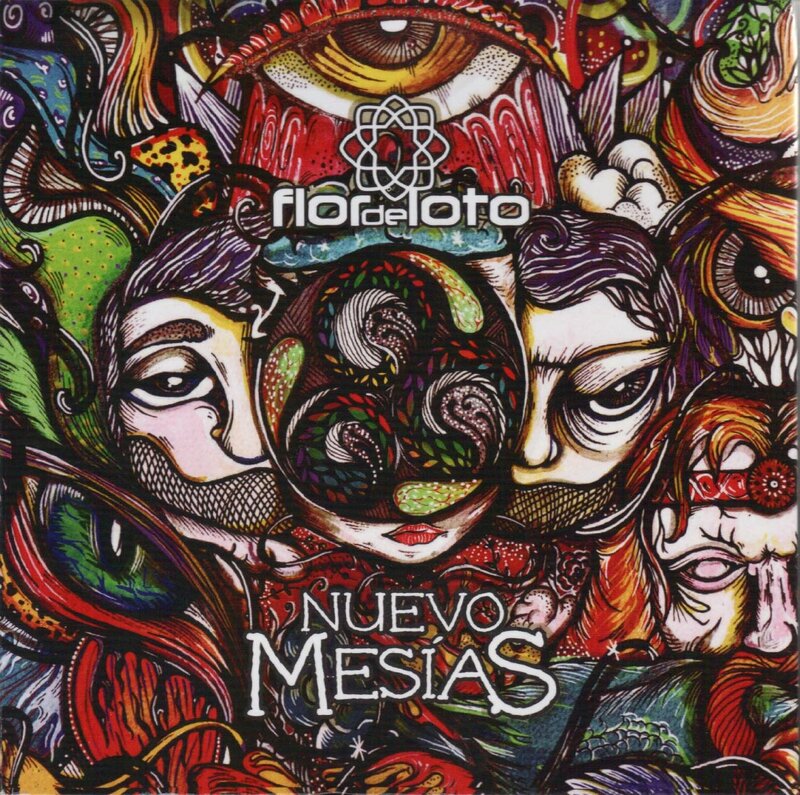 Capping off the first half-dozen releases for this Peruvian band in the last eight years, Nuevo Mesias is a fine effort, showing a band that alternately mixes brilliant bursts of originality with some standard aggressive hard rock riffage. Don’t be too misled by that great psychedelic artwork on the gatefold that holds both a CD and a companion DVD, the music here is not that psychedelic, although some strong trace elements are in place and I imagine some of their earliest releases might have lived up to that label a bit better. There are a lt of cooks in this kitchen, starting with main singer and acoustic and electric guitarist Alonso Herrera Zelaya, who along with synth player Daniel Lopez Gutierrez are responsible for the lion’s share of the songwriting, the latter seemingly contributing the band’s proggier tendencies (as evidenced on the superb instrumentals “Cumbemayo” and “Caleidoscopo”), although bassist Alejandro Motte penned the album’s two other purely instrumental pieces, including the lengthy “Creados del Fuego”. Motte and drummer Alvaro Escobar Picasso present a formidable rhythm section throughout the album’s nine cuts. Either because she’s underutilized or buried in the busy mix behind Zelaya, backing singer Agostina Gonzales Garcia can barely be heard. Ignacio Flores Zelaya contributes electric guitar throughout, but what really makes the band’s sound special is wind player Junior Valdivia, who plays alto and soprano flutes, tenor sax, quena (Andean wooden flute) and zampono (pan pipes), plus charango (ten-string Andean lute), and although the ethnic instruments are mostly heard in the purely instrumental moments, the sax and flutes are pretty much omnipresent even in the harder rocking tunes. The DVD contains a section on the making of Nuevo Mesias, a second section which includes a collection of six videos (including two live cuts) culled from the band’s earlier studio albums Madre Tierra, Mundos Bizarros, and Imperio de Cristal, and a photo gallery. Overall, I’m more inclined toward the band’s instrumental pieces which display a sophisticated grasp of progressive rock idioms, whereas the harder rocking vocal pieces seem geared more toward popular music consumers.